Capt. 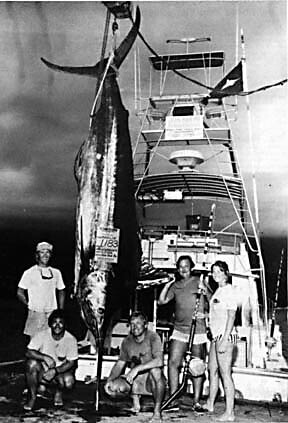 Jerome Judd of the JUN KEN PO was pulling a prototype Joe Yee Super Plunger rigged to a 130-class Penn International when he raised this behemoth. Steve and Sue Gibbons took care of the angling chores.